As many of you know, I am constantly looking for healthier ways to snack. My family recently tried out some Level products they sent us for review, and we were all surprised by how much we loved them. My husband's favorite was by and far the Level shakes. They were smooth and filling. He drank them as his breakfast, and her reported that they gave him the energy he needed. My favorite was the peanut butter cups. They really did taste like peanut butter cups and it satisfied my chocolate craving. Visit them to find out how you can get your blood sugar under control! 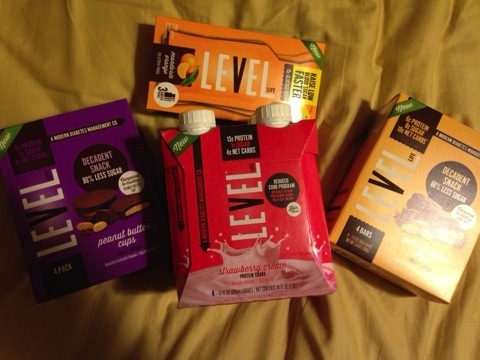 MamaBreak received Level Foods to review here on the site. We did not receive any other type of compensation. As always, our experiences and opinions are our own.